Thomas & Friends Magazine brings to life the magical world of Thomas and Friends for early learners. Each issue of Thomas and Friends magazine is filled with charming stories, a collectible poster, educational activities and more. 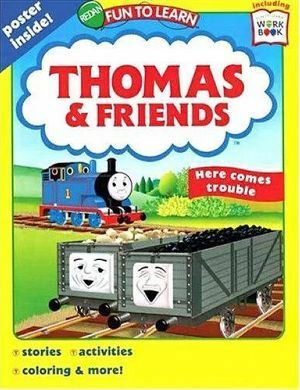 A pull-out workbook is included in each issue of Thomas and Friends magazine.